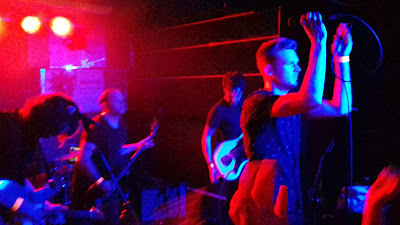 Launching debut album Chemical Friends to a packed Manchester crowd, Puppet Rebellion celebrate their past, their present and look forward to the future. 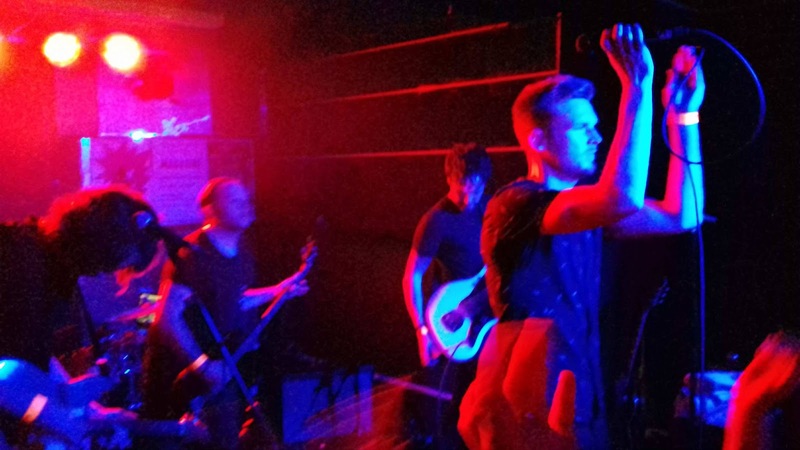 Manchester five-piece Puppet Rebellion played an impressive, energetic set to a full house at Night People. With their debut album released this week, what better way to launch it than to a packed home town crowd? Friends, family and fans have travelled far and wide to celebrate with a band continuing their ascendency. From the off tonight, Puppet Rebellion are in fine form. Recent single The Pact gets the show underway, showcasing front man Oliver Davies’s soaring vocals. Newest recruit to the gang Dave duels with veteran Craig on guitar as the rhythm section of drummer Henry and bassist Jim drive their sound along. An assured opening. “It's been a long time coming but welcome to our album launch” announces Davies to a huge cheer from the crowd, who age from fifteen to fifty, many of them turning out in their distinctive PR shirts. There's a sense of relief I suspect from both fans and band that the debut album has now been delivered. All the big hitters in the Puppet Rebellion cannon are present and correct tonight as old favourites such as Fragments take their place alongside new gems like Hey Now, Please Me and Impact. Each and every number in the forty-five minute set gets a great reception from the crowd. Founding member Simon Monaghan is down the front too and loving every minute. Indeed, the band dedicate Cupboards Painted Red to him and their other alumni. Old and new tunes seamlessly blend together tonight and there are numerous highlights - Now You Try and Please Me have real funky grooves. Please Me is anthemic and Davies has become a confident, engaging front man. The softer side of the band is showcased by Red Light before the beautifully delicate yet uplifting Cupboards Painted Red. Another nod to the past comes from show stopper The Greatest Lie Ever Told. Whilst not featuring on the album, it should always be a feature of a Puppet Rebellion set - The Greatest Lie… positively charges out of the blocks with every band member shifting up a gear and never lets up. The crowd reaction says it all. It would be a perfect way to round off the evening but the band still have other aces up their sleeve with recent single Slave bringing the show to a close to tremendous acclaim from the crowd. Band and fans leave happy. Our review of Chemical Friends can be found here. Yes I fully agree that this was an amazing gig, always great when the crowd sings along.